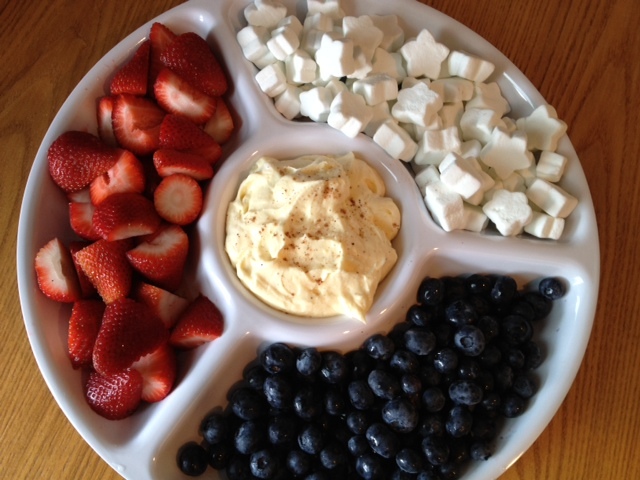 I just whipped up this delicious fruit platter & yogurt dip for a BBQ we’re going to later today. I included strawberries, blueberries, marshmallows and a homemade greek yogurt dip. 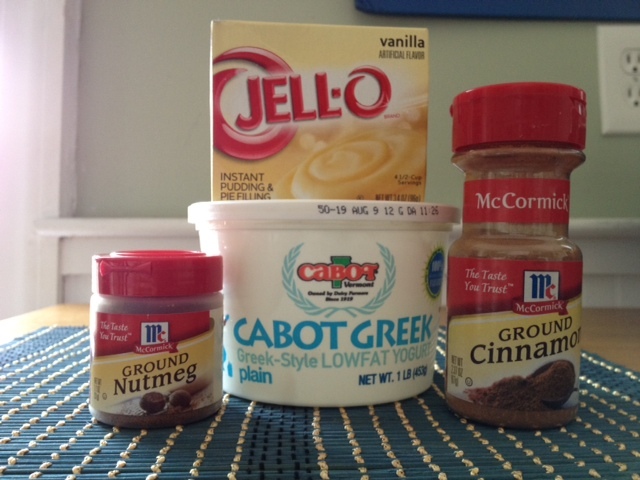 1) In a medium bowl, combine 2 cups of plain greek yogurt, 1/2 package instant vanilla pudding, and a couple of dashes of nutmeg and cinnamon. 2) Whisk together until smooth. 3) Chill in the fridge for a couple of hours. This entry was posted in Recipes by Julie @ Coastal Runner Girl. Bookmark the permalink.